Our Commissioning Service on Saturday 15th October 2016 was a truly joyous time of worship and thanksgiving as a church family. Together with ministers from other churches in our area and our two previous pastors at SCF, we dedicated The Oak Tree Centre to God. 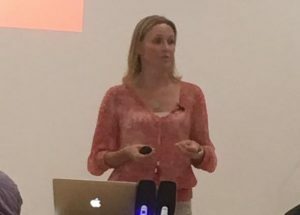 Our weekend guest speaker, Jo Gambi, shared some of her life and faith experiences with us during the service, and our guest speaker for the service itself, was Pastor Mark Sherratt, who is the Senior Pastor at Milton Keynes Christian Centre. Joy and the worship team lead us in powerful worship, in what was a very special, enjoyable and memorable occasion. 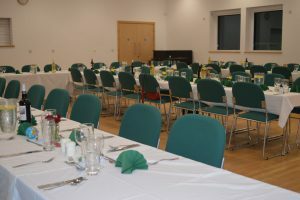 The Commissioning Service was followed by a full four course dinner with champagne reception. The dinner was generously sponsored and was aimed at thanking our corporate partners and trusts who have given so generously to the Oak Tree Centre. Jo Gambi was our guest speaker for the event. Jo is a Christian who holds the record for the fastest female ascent of the highest mountain in every continent of the world. 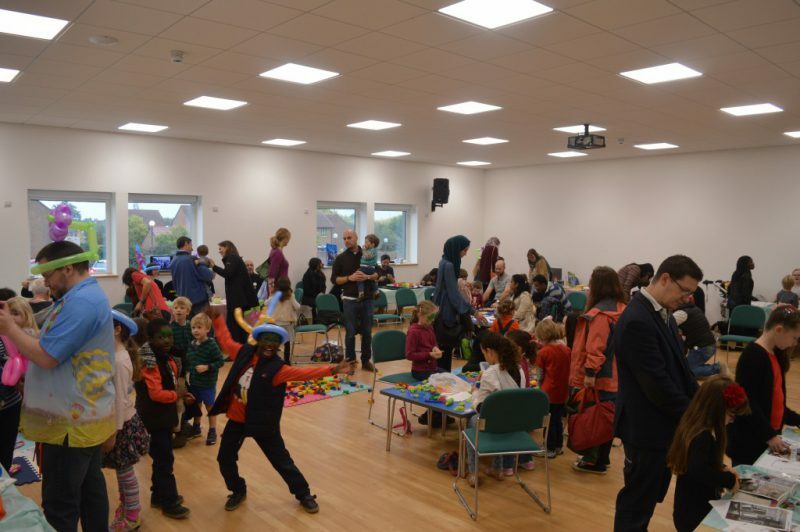 Our Community Open Morning on Saturday 15th October 2016, from 10am to 12pm, was a huge success in celebrating the opening of our new building, The Oak Tree Centre. We welcomed many people and families from the community, who were able to enjoy the free fun activities, including various crafts, face painting, games, balloon modelling and much more! 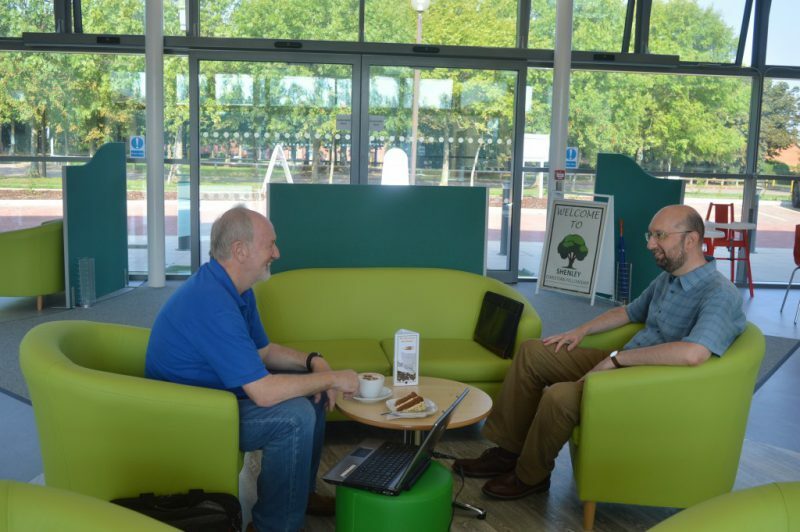 Or to simply relax in the Oak Tree café and enjoy our quality drinks and delicious cakes and refreshments! The Oak Tree Centre…Made for Community! 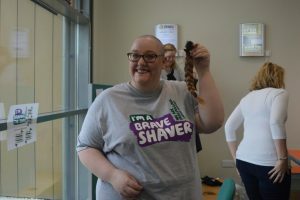 A very brave young lady, Victoria ‘Braved the Shave!’ and publicly had her head shaved, raising over £600 for Macmillan! 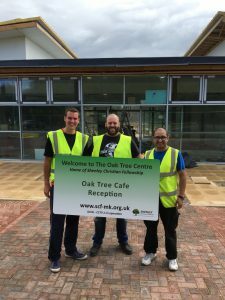 The Oak Tree Centre – Opening Soon! 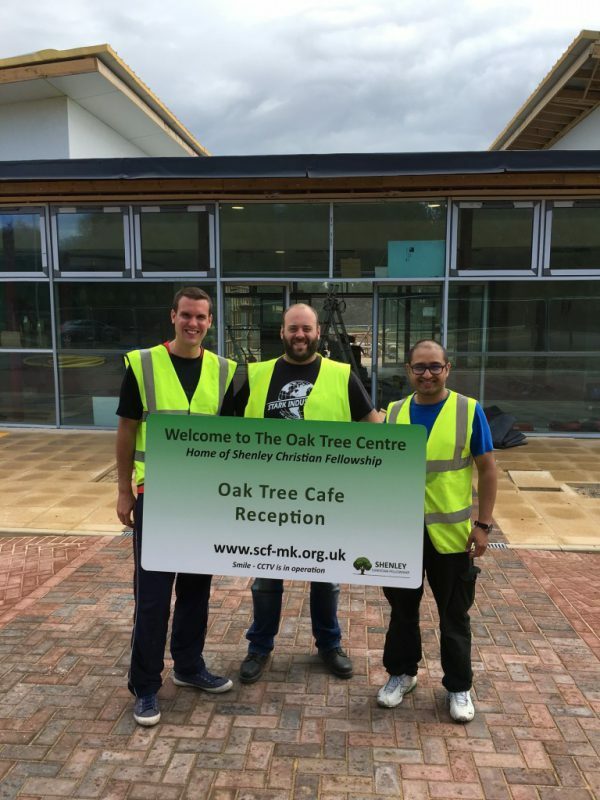 The congregation of Shenley Christian Fellowship (SCF) have financed the building of the Oak Tree Centre, raising £1.8m plus VAT from a mixture of donations, fund raising events, grants and loans. 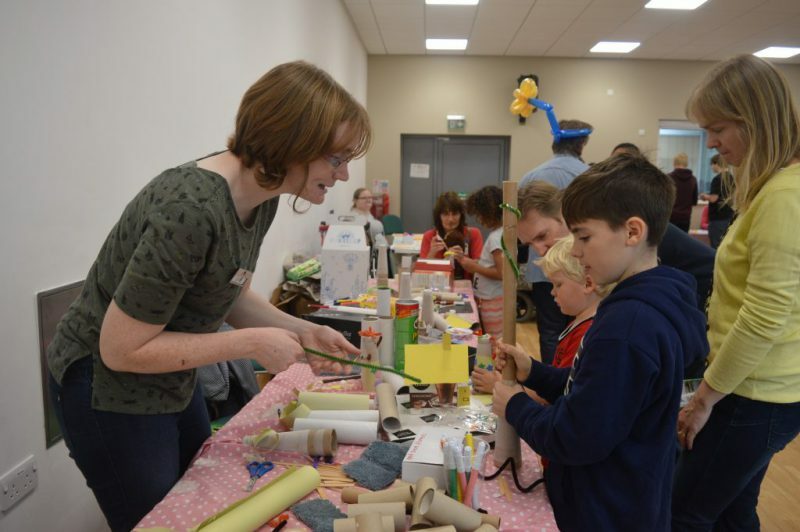 The centre will provide a home for SCF activities, which include Acorns and Little Acorns (our Parent and Baby/Toddler groups), and a weekly Drop-in session as well as Sunday Services and other events. The café and community centre are the first stage of a two-phase project. 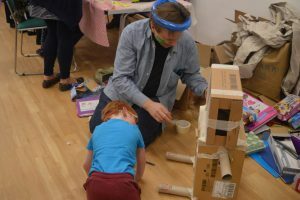 Work now begins to raise a further £1.65m plus VAT to finance the second phase, which will add a dedicated youth area and a space that can either be used as an indoor sports facility or a 400 seat auditorium. 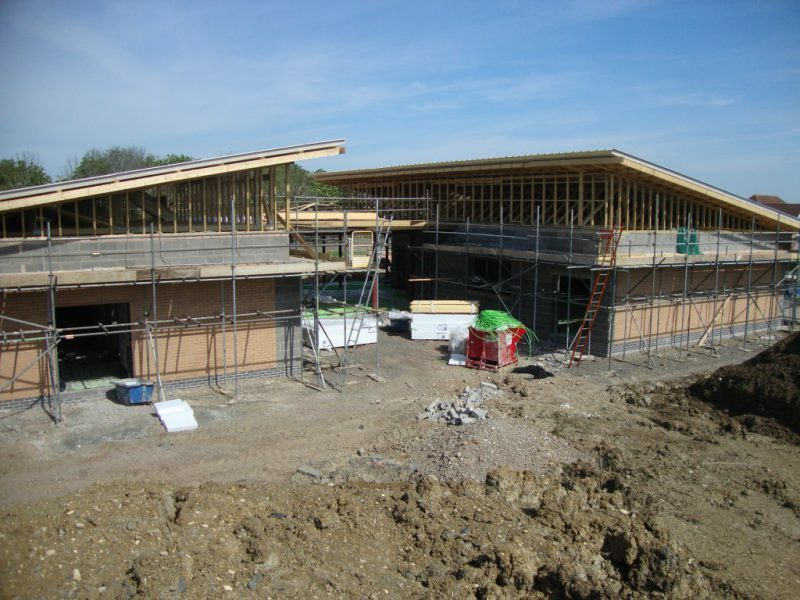 The fit out of The Oak Tree Centre has been completed over 4 weeks in August. We are so grateful to the 40 volunteers who offered their time and skills, both from Shenley Christian Fellowship and local Coutts Bank. 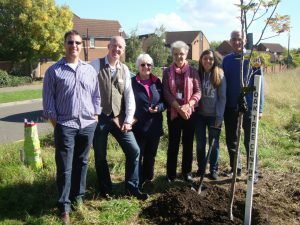 The work included planting of over 250 shrubs, grown over the last two years by church member, Peter Walker, in his garden. The volunteers also help spread 60 cubic metres of bark chipping to landscape the outdoor space and take 170 deliveries. 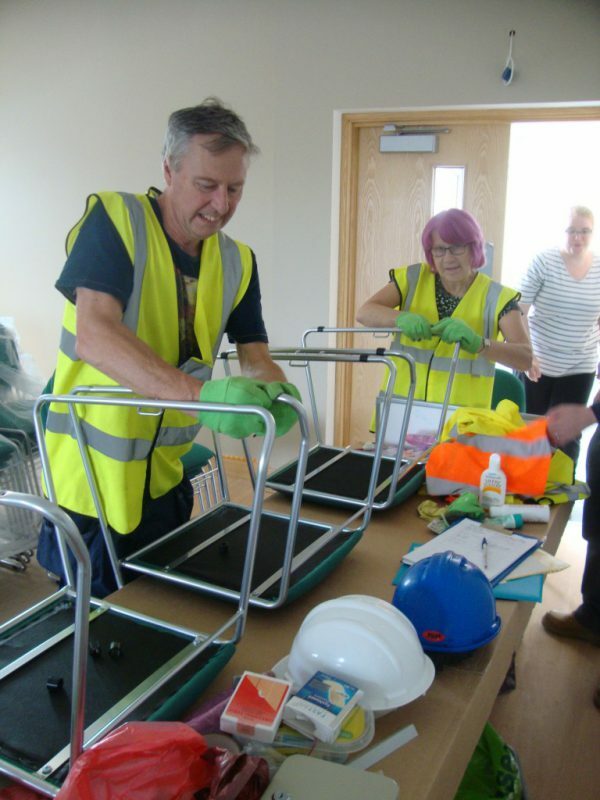 Staff training has also been completed and the Café will be opening to the public on 12th September. The third and final capital appeal for Phase 1 had a target of £114,000 to be raised by the church family. God provided through His people £115,444.71 culminating at the service on Sunday 12 June. Over the course of the three capital appeals between 2012 and 2016 and individual fundraising initiatives, the church family have given £360,000, nearly 20%, towards the total £1.8M cost of Phase 1. The building will be opening on 1 September for room rentals by the community for private functions such as birthday parties, dance classes etc. Details of the café opening will appear shortly. The first Sunday church service to be held in the building will be on 4 September at 10:30am. Less than 100 days till the Oak Tree Centre opens! With the opening planned for 1 September 2016, many of the church members at Shenley Christian Fellowship got their second tour round the site on Sunday 8th May. 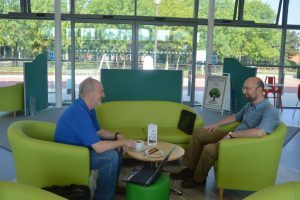 In gloriously sunny weather it wasn’t hard for people to visualise the café courtyard facility being well used in the warmer months. 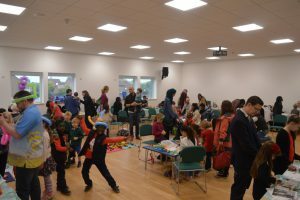 The church members, who have funded a very large proportion of the build, got a chance to see for themselves the main hall which seats 150, the café and reception area and to visualise the working kitchens, offices and small meeting rooms. 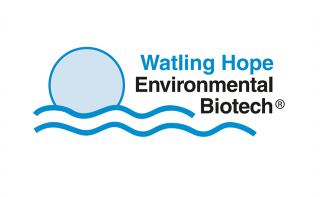 The final capital appeal for the project is now well underway with the closing date of 12th June by which time the target £100,000 is hoped to have been reached to allow the fit out to be completed. The main contractor Morris Property Ltd. have applied for the Considerate Constructors Scheme and are acknowledged to have been very supportive to the local community in the way they have gone about their work with the minimum of local disturbance. Over 25 people will be volunteering their services in helping with the final fit out with local tradespeople giving their time freely toward the project. 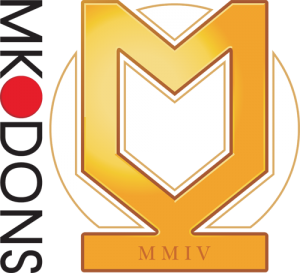 SCF Outreach Ltd., who will manage the building operation as a trading company of the main charity, wish to acknowledge the support of many Milton Keynes based companies who have provided excellent donations towards the final stage. 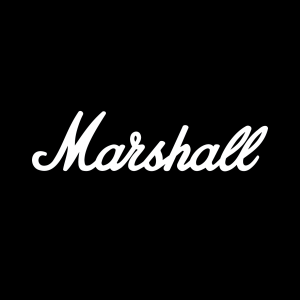 Most recently these have included CRS, ASDA, TISSL and Unistage. We also wish to thank R Goodship Electrical Contractors for their support. 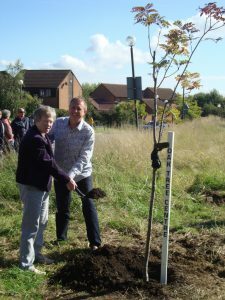 On Sunday 27 September 2015, the church walked down to the land where The Oak Tree Centre will be built, to dedicate it for the Lord’s work, to pray around the site and to plant a tree to mark the occasion. Pastor Ross Dilnot led in prayer, followed by church members in small groups. 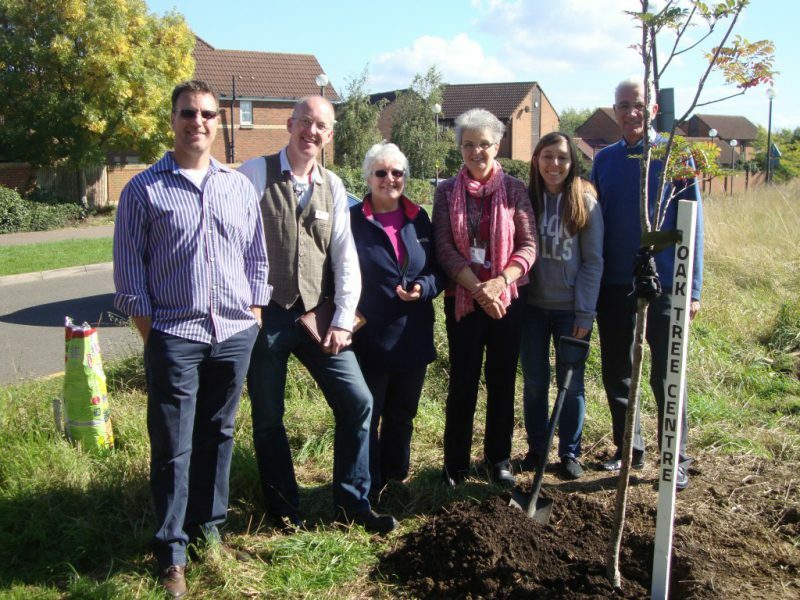 The tree planting was entrusted to Cath Collyer and Neil Harris, who, along with a few others formed Shenley Christian Fellowship, nearly 25 years ago. At a church members meeting on 30th January the decision was made to name the building ‘The Oak Tree Centre’. 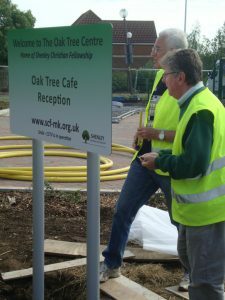 This name linked the church’s long established logo (showing an oak tree) with the parents and toddlers groups (Little Acorns and Acorns) as well as a passage of scripture in Isaiah 61:3 which was a founding scripture for the fellowship over 20 years ago. 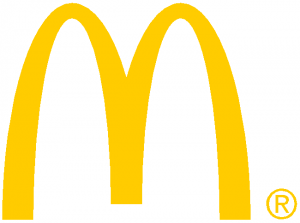 Signage will be developed incorporating the name of the church and the building. 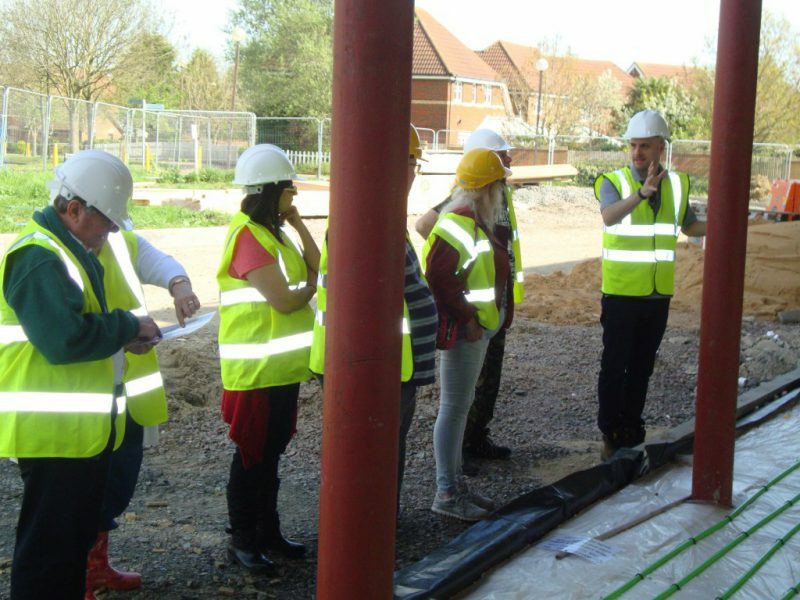 Shenley Christian Fellowship intend to build a building to be a home for our church and to be used for youth work and the wider community. 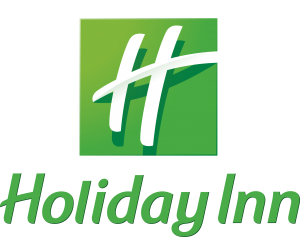 Subject to planning permission, the building work will start in 2015 and be completed by summer 2016. The Fellowship is currently fundraising for the project and the first phase target of £1.25M is on track to be raised by the due date. The church intends to borrow £500,000 to add to the £250,000 already raised. A price for the land to be purchased from the Community Foundation has been agreed.